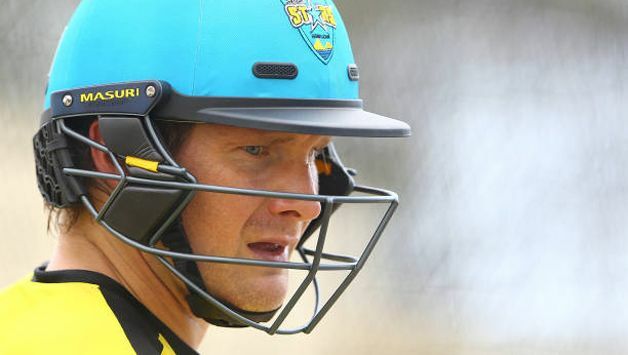 Shane Watson reckons the swing-friendly conditions in England make it a difficult proposition for any touring side and teams cannot be expected to excel immediately in such hostile environment. The former Australia allrounder was referring to Indian team’s failure with the bat as they have failed to put up a solid front against the England pace-battery. The hosts have already clinched the series by winning the fourth Test in Southampton to take an unassailable 3-1 lead. Watson said that the inability to deal with swing bowling isn’t something that is exclusive to the Indian team. “I don’t think any international team is playing swing bowling well these days and that is reflective in the performance on overseas performance,” he said. Watson’s international career spanned across 11 years during which he played 59 Tests, 190 ODIs and 58 T20Is. He believes that the current Indian batting lineup, led by Virat Kohli, will perform much better in Australia because of less testing conditions and that a majority in the current setup have scored runs there in the past. “Look, if you check records, Indian batsmen of late have done well in Australia. Virat has scored loads of runs and I remember a fine century by [KL] Rahul at the SCG. Even [Ajinkya] Rahane scored a few runs,” he observed. 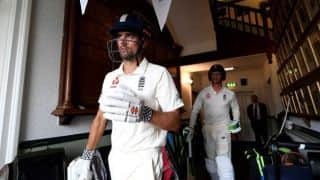 Not just the pacers, in Southampton, Indian batsmen, who are considered to be better players of spin, were bamboozled by the returning Moeen Ali. The offspinner took a five-wicket haul in first innings to break India’s momentum and then ran through their middle order to lead them to 60-run win. Quality bowlers, Watson believes, will cause problems for any team. “Look at Shane Warne’s track record. He got wickets all around the world and knew how to bowl on Day 4 and 5 tracks. Ditto for Lyon or Moeen, who know how to make best use of fourth and fifth day track,” the 37-year-old, who has signed up with Karachians for the T10 league in UAE, said. India will embark on a tour of Australia that includes a four-Test series. India will have a slight edge over the hosts considering their leading cricketers Steve Smith and David Warner will miss the series owing to ball-tampering ban. Watson has picked out left-hand Usman Khawaja to shoulder the responsibility in their absence. “The biggest challenge for Australia will be to post big scores in the absence of Warner and Smith. These two were instrumental in Australia getting big scores. Like Tim Paine is a capable man of leading Australia. He has the requisite leadership qualities but I am more concerned about the batting than captaincy. “Usman Khawaja is a phenomenal player and I believe now he will be given a long rope. I am hoping that he will do well and expect him to take a lot of responsibility. 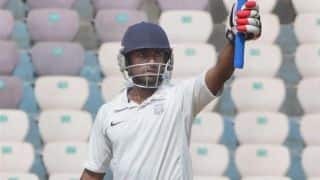 He has just scored a fine hundred against India A [in Bengaluru]. Apart from Usman, I would love to see Shaun and Mitch Marsh do well against India,” he said.